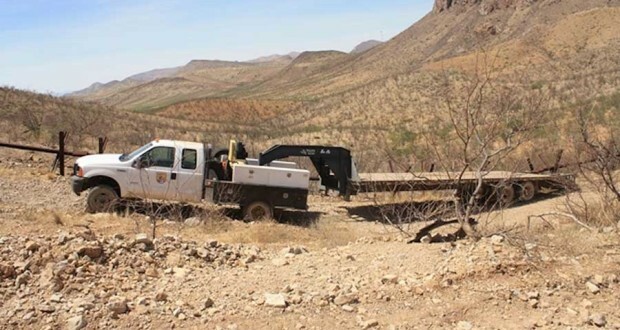 Last week along the border fence of Douglas, Arizona, U.S. Border Patrol agents spotted a white truck that had official U.S. Fish and Wildlife decals after being tipped off that the truck was possibly smuggling drugs. When the agents attempted to make contact with the driver, the truck suddenly stopped and two men fled south into Mexico. Upon seizure of the vehicle, the agents found 3,200 pounds of marijuana worth an estimated $1.6 million. According to reports, the truck’s Fish and Wildlife decals were fake. This, of course, is not unprecedented. In fact, over the last few years, there has been a developing culture of “clone vehicles” that is tied with the drug cartel. The very first report of a “clone vehicle” came way back in 2007 when a police officer from the small town of George West, Texas attempted to pull over a truck that looked to belong to the Texas Department of Transportation. Medina continued to pursue the highly suspicious truck until the driver lost control and the truck spun out. “It had flipped over, and there’s black bundles scattered all over.” These bundles contained nearly 2,000 pounds of marijuana. Since that time, there have been dozens of reports of “clone vehicles” being caught, ranging from AT&T service trucks to police cars, school buses, and even ambulances. 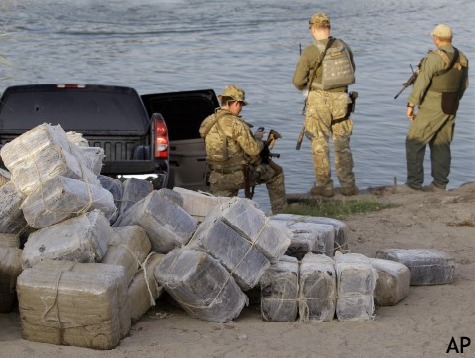 Currently, the DEA estimates that the drugs brought across just the Mexico-Arizona border generate $10 billion for drug cartels annually. For police, the movement towards “cloned vehicles” has made it even more challenging to protect the border and battle the cartel. This entry was posted in Culture and tagged ambulance, at&t truck, car, clone vehicle, drug cartel, drugs, marijuana, school bus, smuggle, truck. Bookmark the permalink. Motocross Rider Cody Elkins Jumps Over a Plane! !